Nigeria is a home to many people and many ethnic groups. It is the giant of Africa, and it has a lot of remarkable features. Among things Nigeria is known for, is that the country has numerous tourists centers. 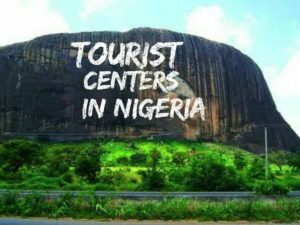 In this article, ‘Top Tourist Centres In Nigeria,’ we intend to discuss some tourist centers in the country. The Ibeno Beach may not be a very popular tourist center in the country, but it is one of the amazing ones. This beach is one of those by the side of the Atlantic ocean. However, what sets it apart from other beaches in the country is that Ibeno Beach is the longest sand beach in Nigeria. Not only is this beach the longest sand beach in the country, but it is also the longest in the whole of West Africa. Ibeno Beach is located in Akwa Ibom State, an Igbo state in the south-eastern part of the country. Being more explicit about Ibeno Beach’s location, the beach is located in Ibeno. As it can be seen, the beach got its name from its location. 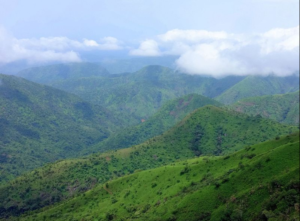 Obudu Mountain Resort is another popular tourist center in Nigeria. This tourist center was formerly known as Obudu Cattle Ranch. From the two names of the tourist center, it can be seen that this tourist center is both a ranch and resort. Obudu Mountain Resort was developed primarily by a Scottish man. This Scottish man in question was McCaughley; he developed the tourist center with the assistance of Mr. Hugh Jones, a fellow rancher. Obudu Mountain Resort is located in Obudu Plateau, a place in Cross Rivers State, close to Cameroon. Years after McCaughley and Mr. Hugh Jones passed away; the tourist center suffered a lot of problems. However, it’s problems were rectified some years ago, by Cross Rivers State government. Osun-Osogbo Sacred Grove also known as Osun-Osogbo, for short, is an iconic tourist center in the southern part of the country. This tourist center is located in Osun State, and very close to the capital of Osun, Osogbo. This tourist center is a sacred forest in the country. In the 1950s, the sacred forest suffered a break down as a result of neglect, by the management of the forest. The neglect further gave way to abuse of the forest. Initially, it was forbidden for people to fish, hunt or fall trees in the forest. However, the neglect gave people room to violate all these rules. 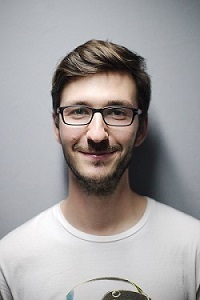 Sometime after the neglect of this forest, an Austrian, Susanne Wenger, with the encouragement of Ataoja of Osogbo, put an end to the abuses carried out by people. Fishing, hunting, and falling off trees once again became forbidden. Furthermore, the popular Osun-Osgogbo festival is always held at this grove. 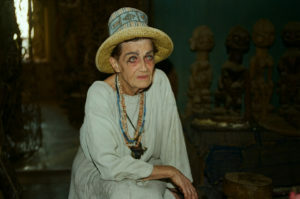 The Osun-Osgogbo festival is always celebrated in the month of August. According to the people of Osogbo, the month of August is a month for celebration and traditional cleansing of Osogbo. The yearly Osun-Osgogbo festival is attended by people all over the country, and outside the country. The Osun-Osogbo Sacred Grove is recognized as a world heritage site, by UNESCO.